Refresh, deodorize and detangle all-in-one labor saving step! Healthier than ordinary cologne spray. 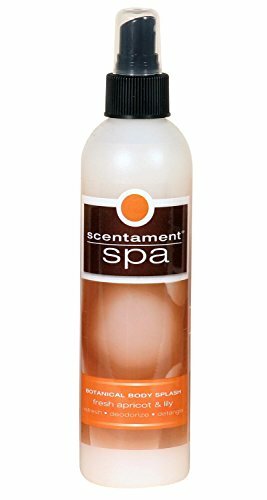 Sentiment Spa Apricot Lily scented Body Splash is alcohol free and fabric safe. Use in between baths to restore hair, rid static and condition your pets skin. Made with organic chamomile, ginseng, rosemary, rose hips & sage extracts. Regular use enhances coat health and appearance. Safe for Dogs, Cats, Puppies & Kittens. Ready to use. Available in 8 ounce spray.